Last week, musician, label owner and prominent creators’ rights advocate Miranda Mulholland was in Washington, DC, for a series of meetings and engagements focused on what can be achieved in a modernized North American Free Trade Agreement (NAFTA) to ensure creators in Canada, Mexico, and the United States have a fair chance at success and receive proper payment for their work. “From all the conversations I had in Washington, what really struck me was just how necessary the artists’ voices are on this issue. Whether Canadian, Mexican or American artists, we share the same need for strong and consistent IP protections. People in Washington are listening. We need to speak up now more than ever,” said Mulholland following the trip. This was the second occasion that Mulholland, who is becoming increasingly well-know internationally for her advocacy work, has spoken to an American audience. In January of 2018, she participated in the inaugural Artists Rights Summit in Athens, Georgia. On April 11, Mulholland delivered a speech at an event jointly organized by ACTION for Trade and the Information Technology and Innovation Foundation (ITIF). More than 20 government and industry leaders attended the event which also featured a speech from Stephen Exell, Vice President for Global Innovation Policy at ITIF. Both speakers underlined the importance of strong IP protections and enforcement in NAFTA. A post-event report by ACTION for Trade noted that “Mulholland spoke about how governments need to adapt policies to fit today’s landscape and protect creators’ work,” in particular that they must consider the “99 percent” of creators who aren’t mainstream superstars. 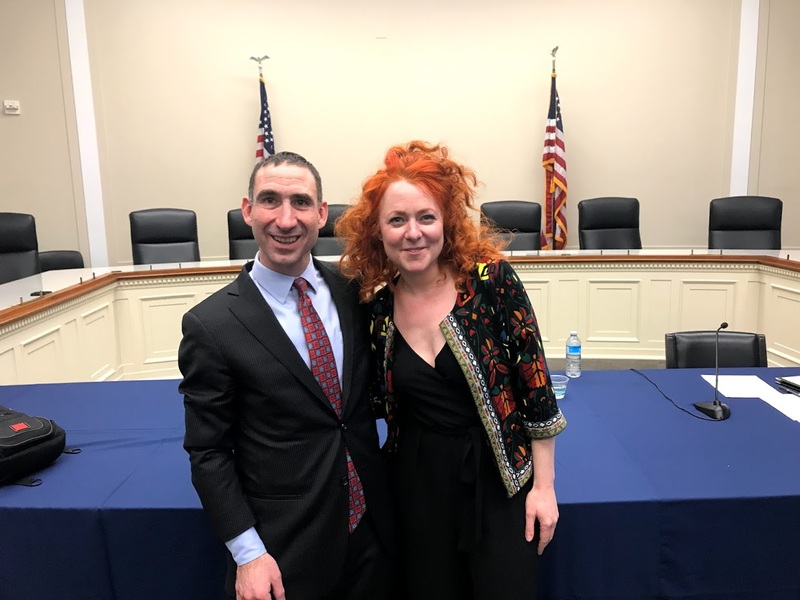 The day before the ACTION for Trade event, Mulholland visited Capitol Hill where she met with officials and stakeholders to discuss the need for action. really honoured to be on capitol hill representing fellow creators on NAFTA, copyright and best practices. as ever – if you have any ideas or concerns please be in touch. For more information on Mulholland’s advocacy work, visit the advocacy section of her website. You can also watch the full video of her outstanding 2017 speech to the Economic Club of Canada in Ottawa titled “Redefining Success in a Digital Marketplace” below.